Coimbatore captures your attention with its phenomenal success and development over the decades. Surrounded by beautiful, lofty mountains, the city has come a long way from an ancient tribal settlement to a plush commercial center. It is especially renowned for its massive textile industry, to which the city owes its modern trends. It is certainly no surprise then, that the city attracts business travelers in large numbers. Yet, at the same time, its serene natural surroundings give the city a distinct, relaxed aura. Its casual, cosmopolitan lifestyle is indeed worth exploring on an excursion with your friends or family. 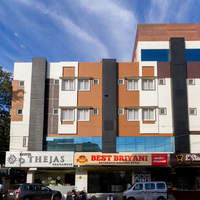 Owing to its commercial development, Coimbatore boasts of several quality options when it comes to accommodation. 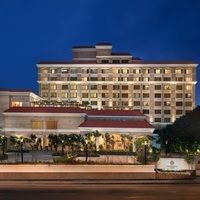 It is home to various 5- star luxury hotels, where you can enjoy the finest comforts. Book a stay at one of these hotels to ensure a lavish vacation for your family. 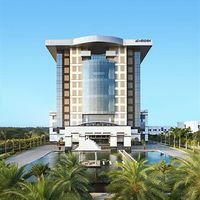 Luxury hotels are also an ideal choice for business travelers, as they provide useful services such as business centers with internet access, meeting rooms, banquet rooms, and so on. You can also relax and rest well before and after those unending business meetings. 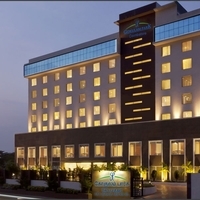 If you are looking for budget-friendly accommodation, Coimbatore has plenty to offer. You can stay at a middle-range or budget hotels and enjoy a cozy and comfortable stay. You can also take your pick from other lodging options like service apartments, inns, and so on. 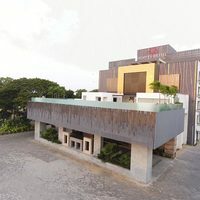 In Coimbatore, you can find the best and most varied accommodation choices in areas like City Center, Avinashi Road, and Mettupalayam Road, among others. With Cleartrip's pay@hotel feature you can book your hotel with zero advance payment. Instead, pay directly at the time of check-in. So, book your Coimbatore hotel stay with Cleartrip, today! 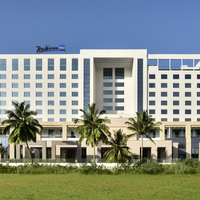 Could you tell us hotels in Coimbatore that provides 24 hours check-in check-out facility? 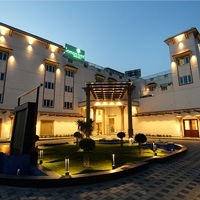 There are many hotels in Coimbatore that offer 24 hour checkin facility. 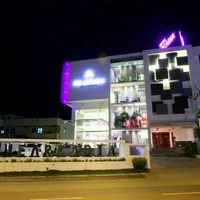 Some luxury hotels in city that offer 24 hour check in are Hotel Chanma International, Hotel Royal Castle Inn, and The Grand Regent.You could also try these budget hotels Hotel Chanma International, Hotel Vijai Paradise, and Sri Krishna Vilas that offer this facility. Suggest us few good hotels in Coimbatore that provide wifi. These days Wi-Fi is part of basic facility that most hotels in Coimbatore offer. 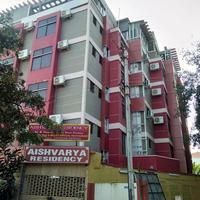 These budget hotels in city offer free Wi-Fi service Navaratna. 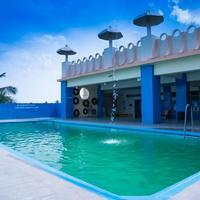 I'm looking for hotels in Coimbatore with swimming pool. Please suggest. 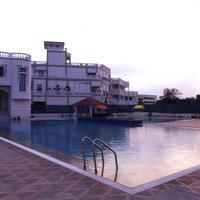 All the four and five-star hotels in Coimbatore have a well-maintained swimming pool. Hotel Chanma International and Horizon Heights Service Apartment are some budget hotels in city that also have swimming pool. Could you suggest us few hotels in Coimbatore that has free parking facility? There are few hotels in Coimbatore that provides free parking facility Hotel Mangala International, Sabari Fine Stay, and Hotel Geo Grande. 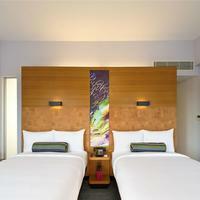 Can you suggest us hotels in Coimbatore that offers rooms under Rs. 1700/-? 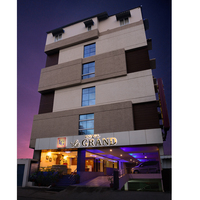 There are many hotels in Coimbatore that offers hotels under Rs. 1700/-. For best options you can check Hotel Chanma International, Park Inn, and Navaratna under 1700/-. Can you suggest me hotels that have pay@hotel options in Coimbatore? 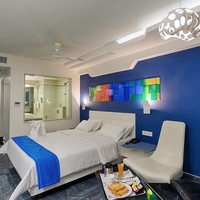 Most hotels in Coimbatore prefer that you pay some advance to book a room. However, there are some hotels that give you an option to pay@hotel like Hotel Royal Castle Inn, Vijay Park Inn, and Sabari Fine Stay. Please suggest me 5 star hotels in Coimbatore. 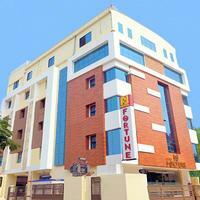 There are a lot of options for comfortable stay in Coimbatore. Check this hotels for comfortable stay Vivanta by Taj Surya, The Residency, and Le Meridien Coimbatore. Can you suggest few hotels with good front desk facility in Coimbatore? Yes, there are a lot of hotels in Coimbatore that has good front desk service available. 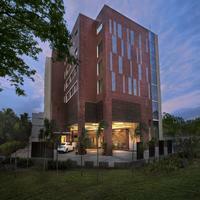 Check this hotels Vivanta by Taj Surya, The Residency, and Le Meridien Coimbatore.